Unplanned downtime is the enemy. So you’ve implemented a maintenance plan which may seem expensive; but, it turns out that it is even more expensive if you do not follow the maintenance plan or worse, have no plan at all. You might feel frustrated and wonder what else you can do. The professionals at industrial electronic repair services give some ideas to keep the maintenance effort just right, not too much, and not too little. Here is how you can maintain a balance of cost and production efficiency. Use smart devices to monitor your equipment. This technology approach will help you smell trouble brewing, before it turns into a downtime disaster, and take actions accordingly. Establish clear priorities and make sure to tell your team members what they are. Better yet, have them involved in creating these priorities. They should be aware of the actual impact of downtime and the costs associated with it. This way valuable time and resources are not wasted on low priority efforts and every team member has a dedicated interest in preventing downtime. Measure downtime because if it is not measurable, it is not manageable. Get an automated system to track downtime. It will help identify the pieces of equipment which suffer frequent failures. Find the Root Cause. After you have measured it (downtime), you can manage it by identifying its root cause. 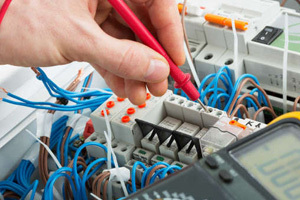 Considering electronics repair Winnipeg services without understanding what caused it to stop is the most common mistake, often leading to more downtime and frequent repairs to the SAME equipments. Now that’s what is called an unnecessary budget-buster. Control the energy usage. Use “smart” energy monitoring systems to increase efficiency, use variable frequency drives wherever possible, change out your lighting for more energy efficient lighting and seal out drafts and dampness that can corrupt equipment faster. Consider an energy audit if you haven’t already. You can use these savings elsewhere in the equipment maintenance. Keep your equipments safe from the environmental effects. Excessive heat, dirt and moisture are the reasons why many electronic equipment fail – ending in lengthy and repeated downtimes. Stay up to date on the latest technology. Education and training are great investments and increase production and maintenance efficiency. And it also costs very little by having experienced managers, employees or vendors provide in-house training. Offer free lunch to attendees. Preventing unplanned downtime is a major subject, and for good reason as it is the leading cause of minimized production time. There is far more to the subject than what our professionals at industrial electronic repair services have covered here. There is a good amount of information to be found on this subject and many helpful consultants. Have a well-designed approach to maintenance, stay up-to-date and utilize the best practices and technology, and establish priorities. And finally, let go of your ego so you can take a team approach to solving issues and you will be successful to minimizing downtime and saving money. GC Custom Electronics offers industrial electronic repair services in Winnipeg to help businesses minimize downtime, achieve high performance and save costs.